If figuring out what to make for dinner each night stresses you out more than going to work in the morning, meal delivery kits can seem like a total godsend. For a fee, subscribers receive a single recipe and all the ingredients needed to prepare it in an insulated box, rendering mealtime a no-brainer for those who’d rather order food than cook it. For some, these kits can be cost prohibitive. Julie Taylor of Glendale, CA recently put her meal kit subscription on hold because, at $72 per week for 3 meals for 2 (plus $6 shipping), she felt the indulgence was getting rather expensive. However, if the price were more palatable, Taylor says she would start ordering them again. “If money were no object, I would still totally do it for convenience sake,” she said. Gianna Roma, clinical registered dietitian at Beth Israel Deaconess Medical Center, says these types of meal kits can also help people to follow a healthier, well-balanced diet. “Services like these reduce time required for food shopping, meal preparation and provide step-by-step directions that are easy to follow and can help with portion control. They may also expand culinary horizons and get people to experiment with foods they may not have had the confidence to previously,” she says. We polled some readers and did a little research to share what to expect from some of the most popular delivery service contenders. 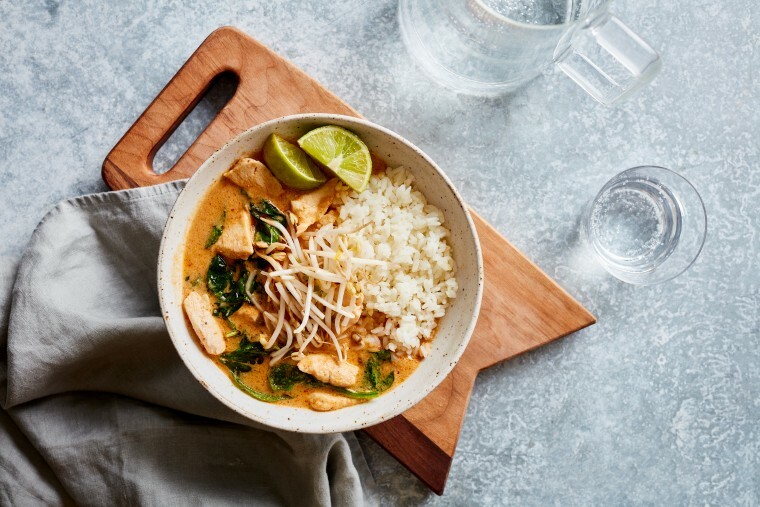 HelloFresh promises “dinner in 30 minutes or less” with “low or no prep ingredients.” Of all the feedback we received, HelloFresh was overwhelmingly positive, with Plated coming in at a close second. Why? An abundance of “easy to follow,” “family-friendly” recipes that were easy to execute well and flexibility. On the menu: Korean Beef Bibimbap with Zucchini, Mushrooms and Carrots, and Hot Honey Chicken with Barbecue-Roasted Potatoes and Buttery Broccoli. Available in 95 percent of the U.S.
One fan we polled says he never had a boring or bad meal from this service and though he’s not a chef “by any means,” the recipes are described as delicious and fail-safe. Among their offerings: Chinese Pork Lettuce Wraps and Greek Chicken Panzanella. 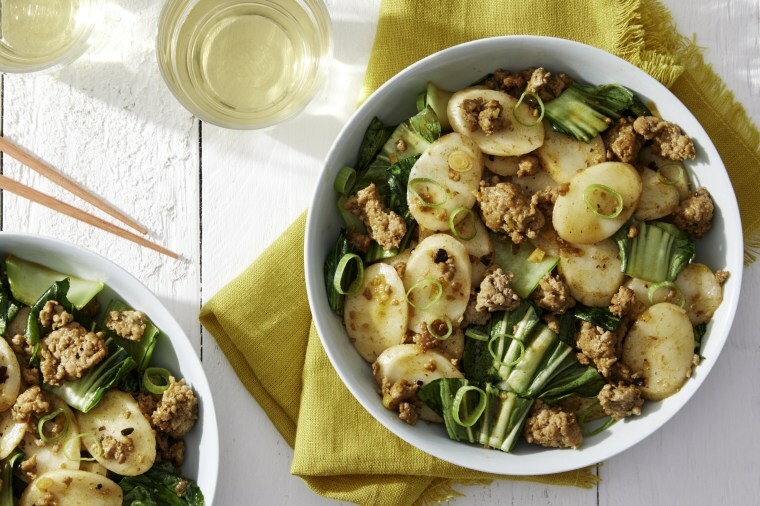 According to our feedback, Blue Apron’s meals were tasty, but the recipes were a bit more complex, making them perfect for the more adventurous cook. Among the recipes offered: Corn and Goat Cheese Quiche with Butter Lettuce and Ranch Dressing, and Dukkah-Crusted Pork Roast with Roasted Cauliflower and Tahini Dressing. “Make dinner in 15 minutes” with one pan is Gobble’s credo. Taylor praised the easy-to-make, “gourmet” and “trendier” recipe offerings from this meal service purveyor, but considered the service costly. Among the recipes offered: Thai Basil Chicken with Jasmine Rice and Parmesan Crusted Chicken with Lemon Basil Orzo Salad. So, if you decide to take the plunge, which should you choose? Most of the people we asked had tried a few before settling on the one they liked best. Fortunately, many of these companies offer free trial weeks or discounts to get you started. Health-wise, Roma advises choosing a meal-kit delivery service with dietitians in charge of the menu, or picking meals plentiful in vegetables, seafood or poultry, versus one heavy in cheeses or meats. Besides, as Roma says, after a long day “a balanced meal that is easy to prepare at home” beats “a fried greasy option at a fast food restaurant” any day.